Pioneers in the industry, we offer fire water monitor from India. 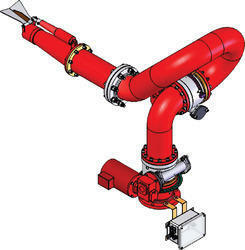 For the diverse necessities of our valued clients, we are involved in manufacturing, distributing and supplying a widespread range of Fire Water Monitor. The offered water monitor is obtainable in diverse sizes to cater to the specified details of customers. Also, this water monitor is manufactured with quality assured material and cutting edge technology in compliance with market prevalent norms. Looking for Fire Water Monitor ?